Priyanka Chopra and Nick Jonas are wasting no time in their journey toward marital bliss. Over the weekend, the engaged pair finally confirmed their commitment to each other and to their fans worldwide with a traditional Roka ceremony in Mumbai. At the roka ceremony, Jonas’s parents, Kevin and Denise Jonas, joined with Chopra’s parents at the Chopra family home, as is custom. There, the families likely exchanged gifts of sweets, dried fruit, and cash, as part of a ceremony meant to bring two families together. According to Meha Bhargava, founder of Delhi-based wedding styling company Styl-Inc, the Roka ceremony is not to be confused with an engagement ceremony. Chopra wore a traditional canary yellow ensemble of palazzo pants and a Chikan Anarkali top by designer Abu Jani & Sandeep Khosla Couture for the occasion, and Jonas donned a white sherwani. In photos snapped from the ceremony, the couple bowed their heads in prayer as their family looked on. The pair first met at last year’s Met Gala, but have reportedly been dating for just a few months. 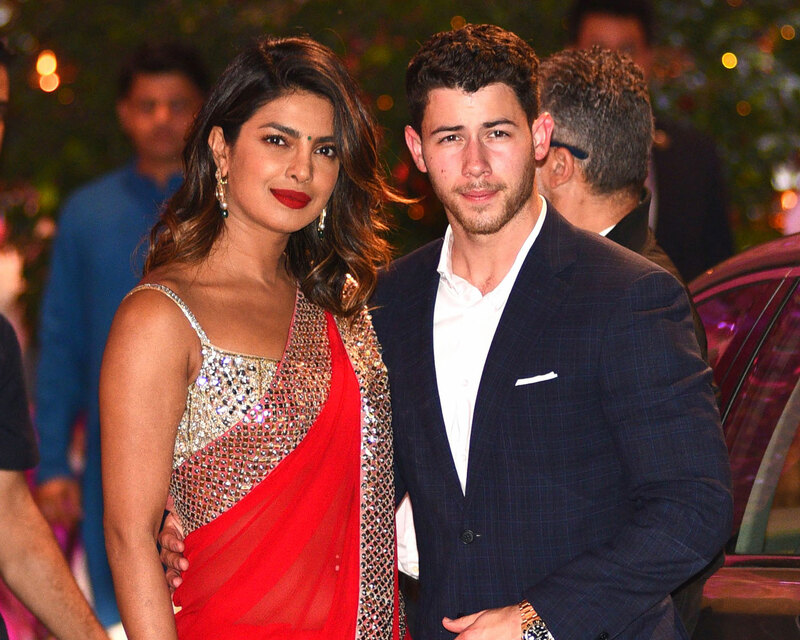 Be the first to comment on "Priyanka Chopra and Nick Jonas Take First Step Toward Marriage With Traditional Roka Ceremony"